Canterbury Estates: These homes are located in a gated community on the Lake Side of Highway 95. These homes include a variety of sizes, styles, landscaped yards and many are located on cul-de-sacs…. The Community of Canterbury Estates offers a serene setting with desert landscaping and views…..Some of the homes include maple cabinets, breakfast bars, separate dining areas, vaulted ceilings, surround sound, garden tubs and wrought iron fencing. Three car garages are available as well as gated RV parking and underground utilities. 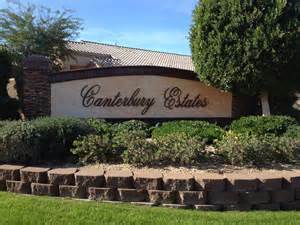 Residents of Canterbury Estates are served by the Lake Havasu Unified School District. Lake Havasu City has six elementary schools, one middle school, one high school, charter and private schools. Our Community College is part of the Arizona Community College.